ASUS’s motherboard lineup based around the upcoming X570 chipset has leaked out over at Videocardz. The new product family which will be replacing the existing X470 motherboards will support AMD’s next-gen Ryzen 3000 series processors which are scheduled to launch around the mid of 2019. The ASUS X570 motherboard lineup consists of at least 12 products which would feature the new X570 chipset. Now X570 is confirmed to be aimed at the high-end market but there would also be mainstream and entry-level products based on the B550 and A520 chipsets, as was the case with each previous generation of chipsets. Now looking at the lineup, we can note that the X570 lineup would be the first to feature a Formula series motherboard for Ryzen CPUs. Previously, AMD released the ROG Crosshair V Formula which was based around the AMD 990FX chipset (AM3+ socket) but there hasn’t been a Formula revision for the AM4 platform. 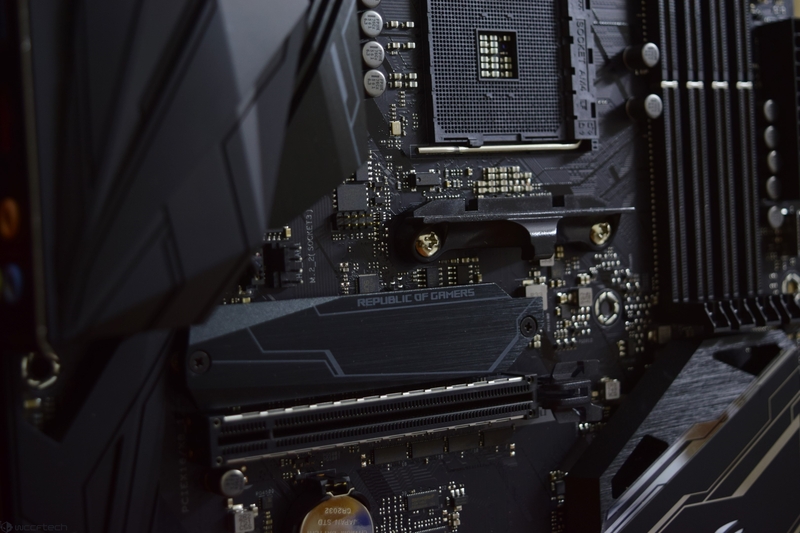 ASUS did introduce their ROG Crosshair VI Extreme on the X370 chipset but Formula series would be a nice addition to the X570 platform. Other than that, all previous models that were based on the X470 chipset would be getting an X570 update and while this list would be the initial launch lineup, more models can be added later on. As we saw with X470, there were a few features for the Ryzen 2000 series processors which were only supported by new motherboards such as Precision Boost Overdrive and XFR 2.0. There’s no doubt that AMD’s Zen 2 based Ryzen mainstream processor family would come with new features but the main highlight would be support for PCIe Gen4. The X570 platform would be all PCIe Gen4 solution which means this would most probably be the first consumer platform to feature support for the new PCIe standard. That, however, doesn’t mean that AMD Ryzen 3000 series would only be compatible on X570 boards since just like last time, the new CPUs will be backward compatible with X470 & X370 boards too and new BIOS firmware has already started rolling out on existing motherboards. They certainly won’t display the same feature set that will be available on the newly launched X570 lineup but will feature fully stable functionality for users who just want to drop in a new CPU and continue using their PCs without the hassle of upgrading the motherboard and everything from scratch. What features are you most interested to see in the upcoming AMD X570 motherboards lineup?